Is your old deck falling apart? Is it too much hassle to maintain your wood deck? Sharp Development can help! Whether you are looking for a treated wood deck or a maintenance free Trex Deck, we have the skills to make your dreams a reality. 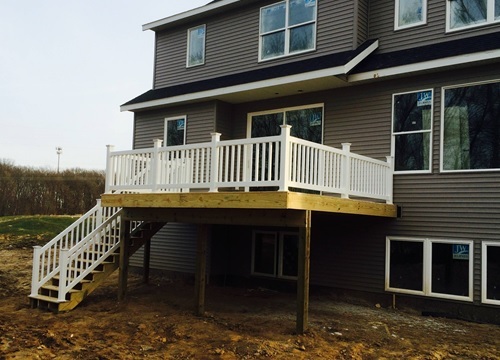 We have years of experience with all types of decking and enjoy bringing a fresh look to backyards across West Michigan.